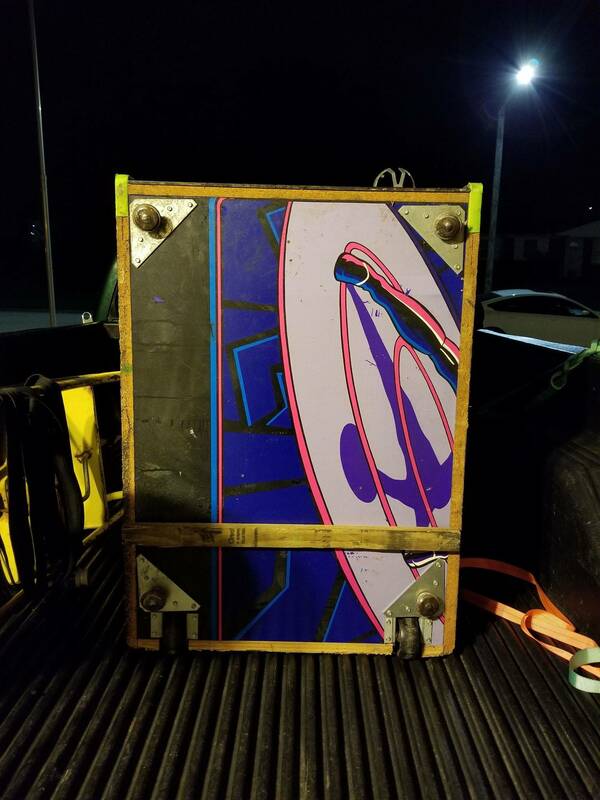 Just thought I would share my pick up with everybody. 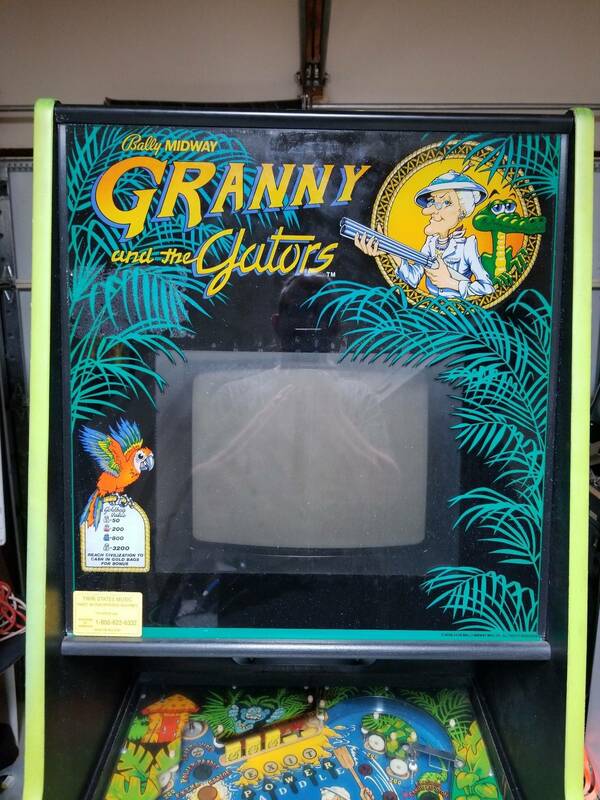 Super excited to get a Granny & the Gators vid/pin. 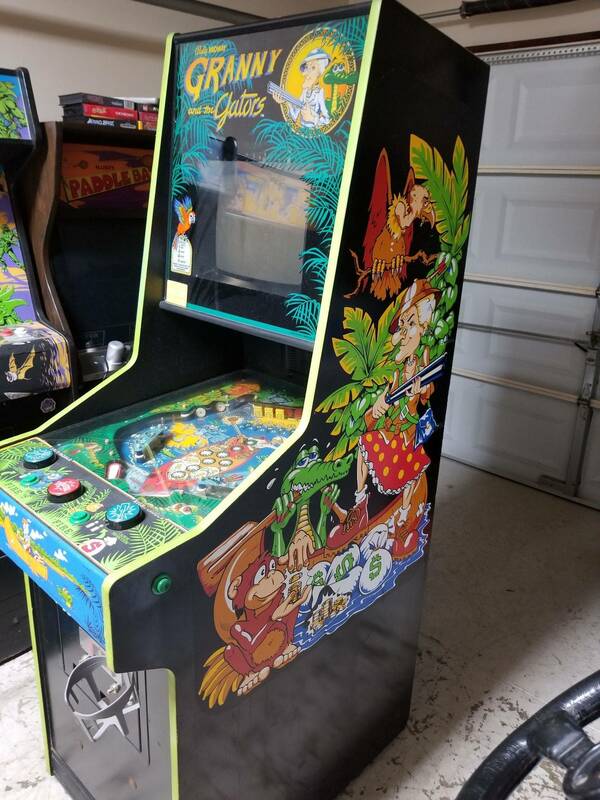 Anybody have any info on this game, history, etc? It currently dosen't work properly, but I'm getting ready to crack it open and update the my progress with the game. 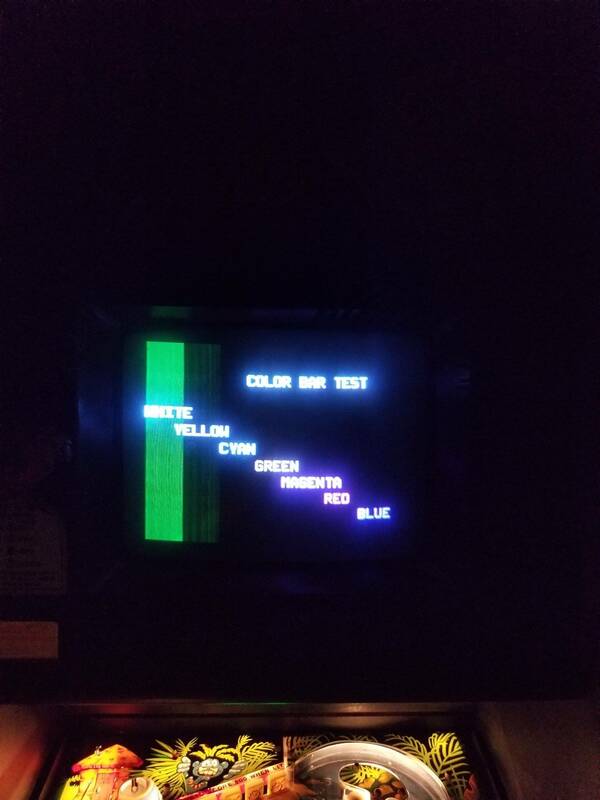 Really cool it has a "Disc's of Tron Bottom". Thanks guys for the info. 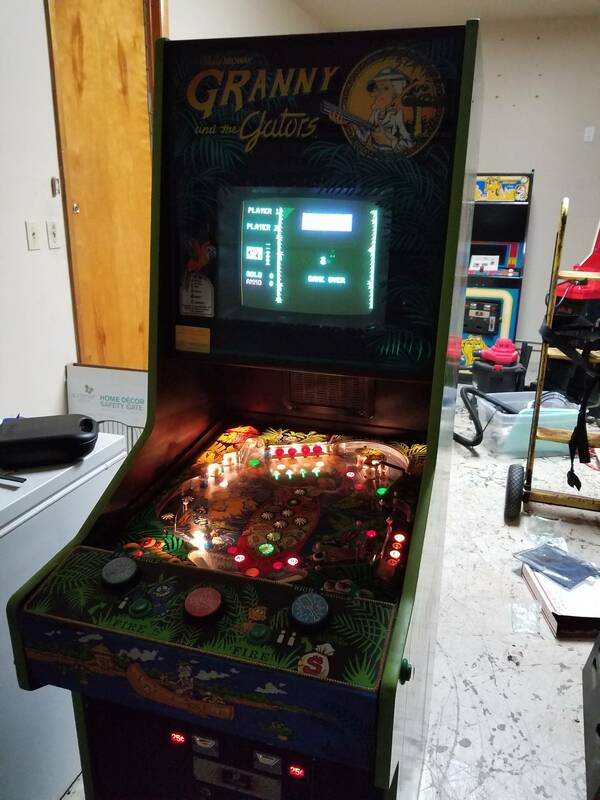 My gators seemed to be similar to everybody else's issues. So far, I've got about 8 hrs in it and I'm getting close. 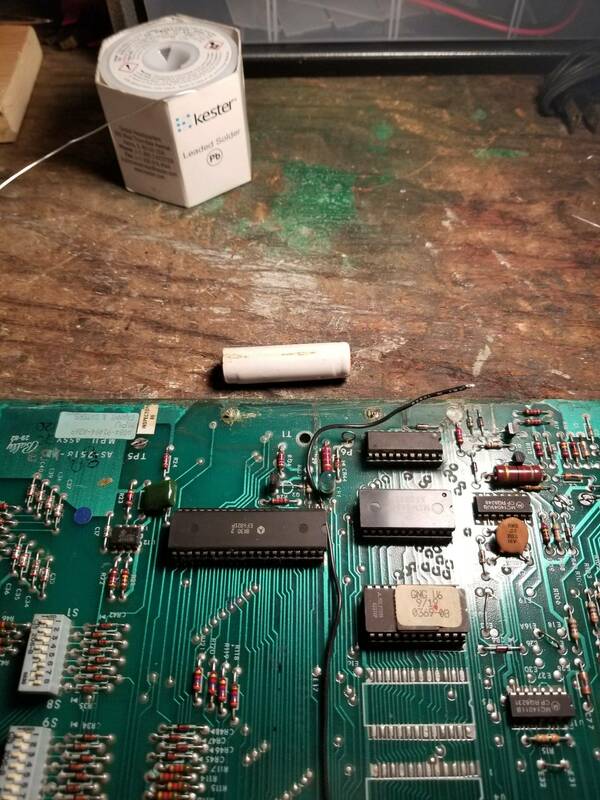 Mpu board had battery acid on the bottom and took out a lot of traces with it lol also got on the lamp driver board as well. 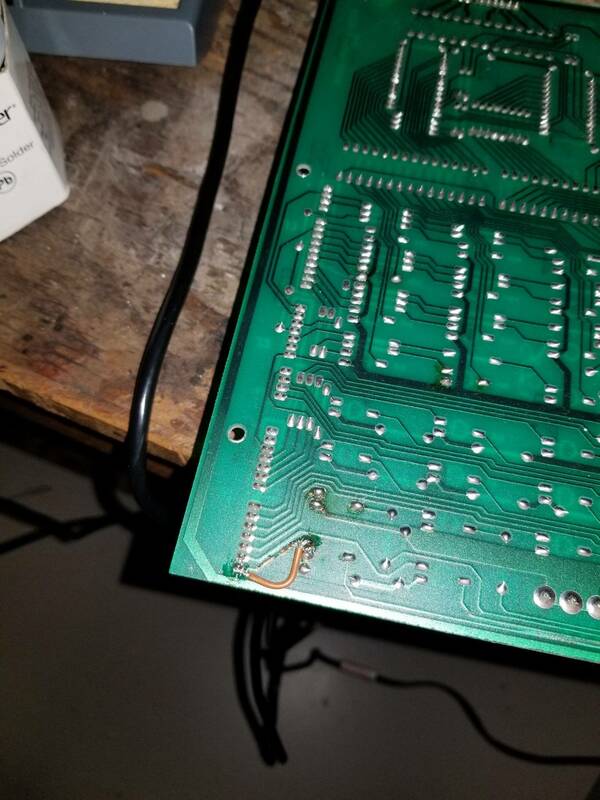 Repaired the lamp driver board. In process of ordering a connector kit and repin the molex. 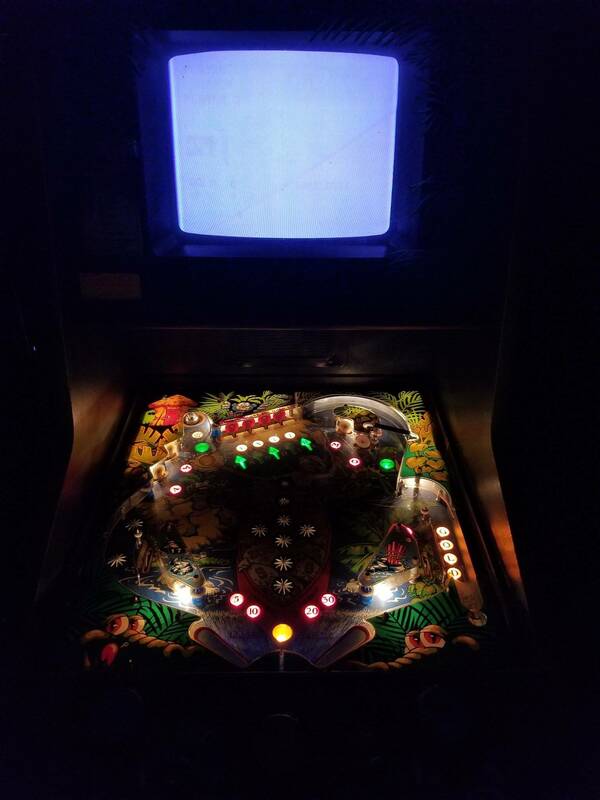 My buddy is repairing the mpu. 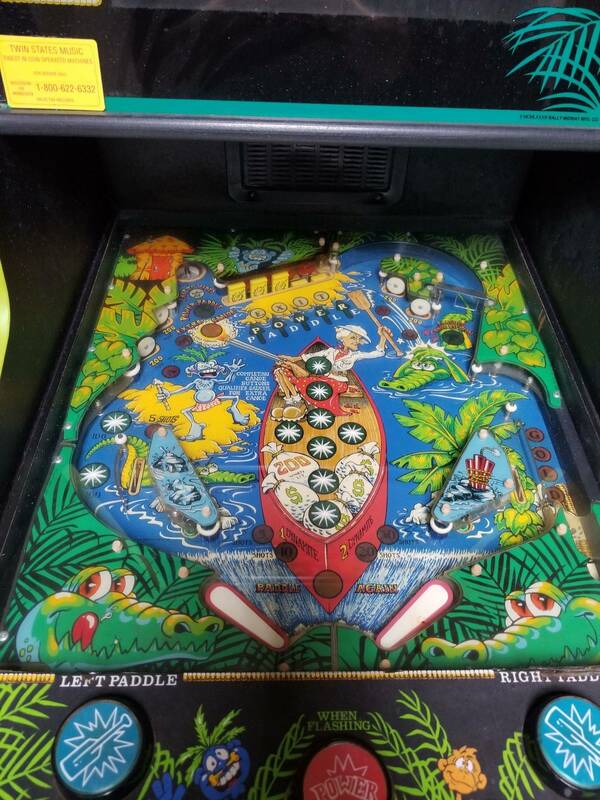 Also was having a blown fuse on playfield. 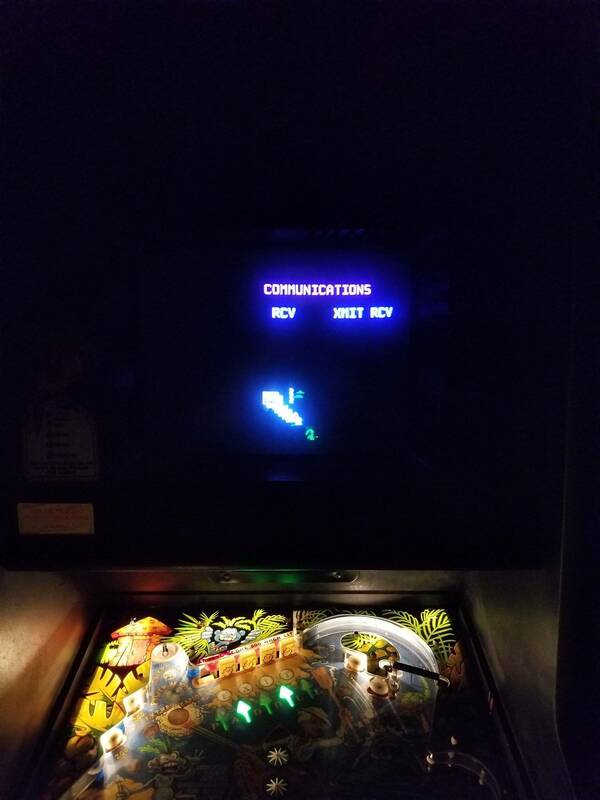 So, I dremeled the fuse holders, new fuses, and unseized the ball return coil, and now works properly. I'll keep you guys updated. Thanks for your help! 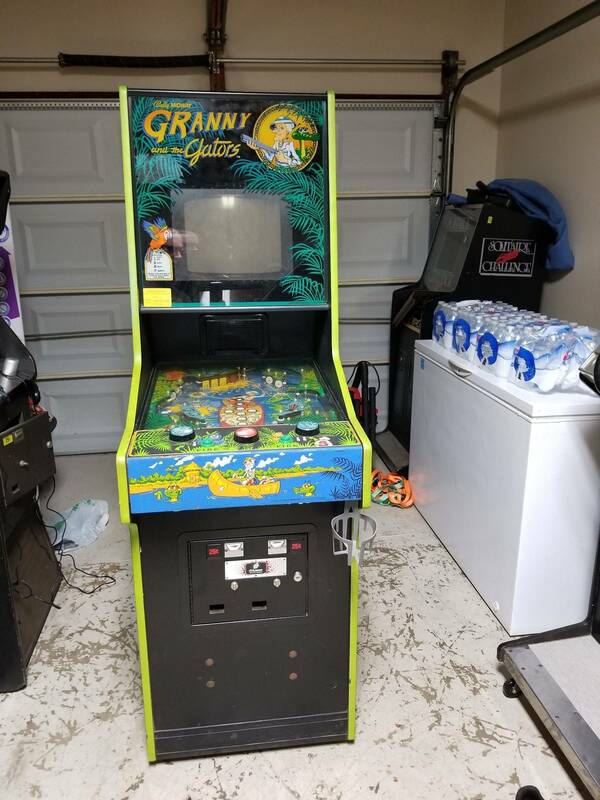 Looks like a brand new one, nice find! Who-Dey it's in fantastic shape. I'd give it a B+ to A. Came from a collector, so he took good care of it. 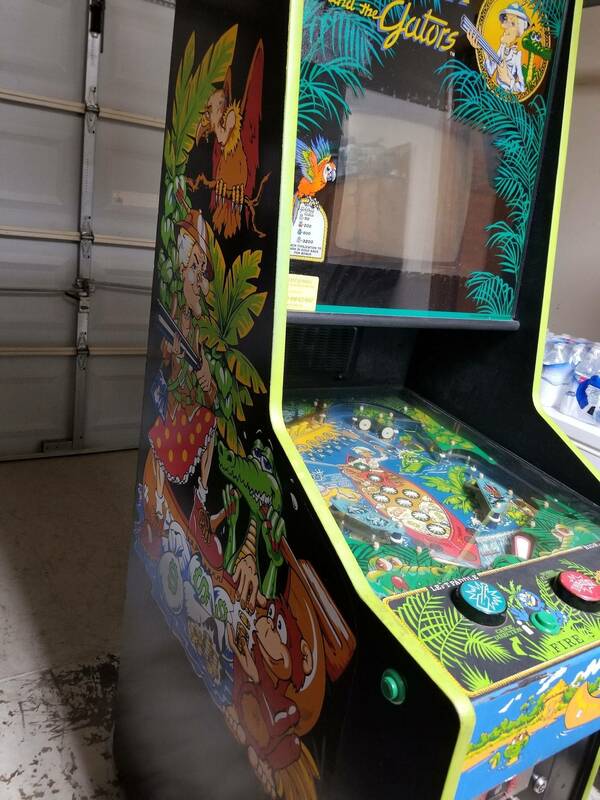 Definitely a nice find and a nice addition to your collection. Hey guys, sorry it's been a while. Just got around to working on G&G's again. Picked up a new mpu board from nvramweebly and she came back to life. However, I have a problem. I keep blowing 1amp sloblo fuse under playfield. Drop target coil was burnt up. Replaced with new, and I'm still blowing the fuse. And ideas? Could wires be crossed on coil? I put the wires in the same way it was on the old coil. frunch thanks man. It's a start. Any help is great. I will do some investigating. Look on my website http://www.inkochnito.nl in the Bally section or Tech Charts section. This says it's Q36 for the Drop Target Reset. The Yellow wire goes on the banded side of the diode. The Orange-Black wire on the other side. inkochnito awesome! I will check it out. Thank you.